Sometimes, there is nothing better than a interesting complex glitter polish. You're Turning Violet, Violet is one of those with holographic purple and dark blue glitter of varied sizes in a purple base. I used two coats but made sure to top it off with one coat of Gelous and two coats of Seche Vite as it is on the rough side. 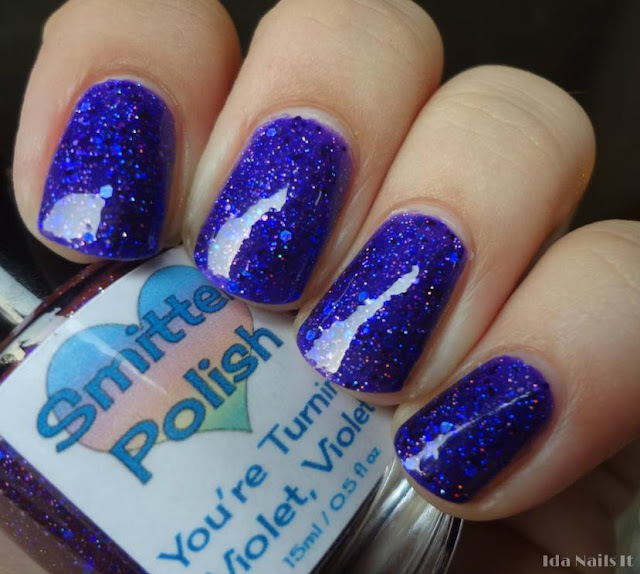 I love this polish, and not just for the Willy Wonka reference. The dark blue glitter is a nice contrast and really pops with the purple. 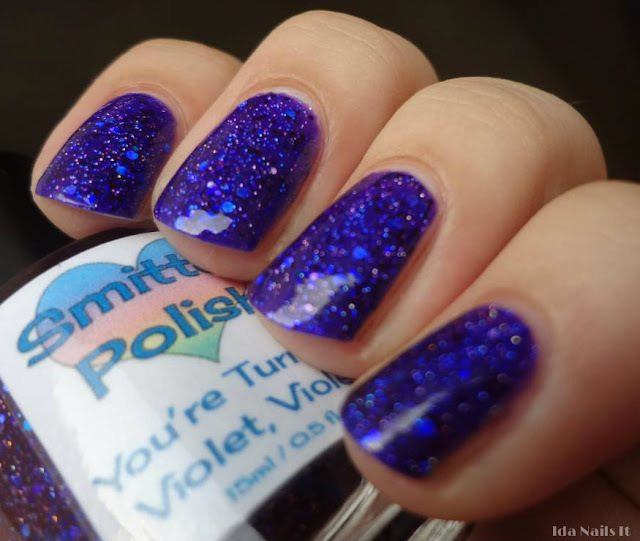 You're Turning Violet, Violet is produced by Smitten Polish and this is her Etsy shop. 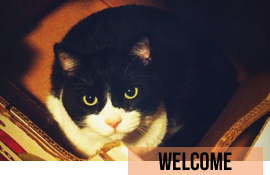 Nothing is in stock right now but updates can be found on her blog or Facebook page. Llarowe will be selling her polishes though and will launch today here at 1:00 pm MST and 7:00 pm MST. I <3 this one as well!